GrimmSpeed Thermostat - Dezod Motorsports Inc - Home of the automotive performance enthusiast since 2002. First rule of thumb, excess heat kills engines and power. GrimmSpeed is on your side with our new Thermostat. 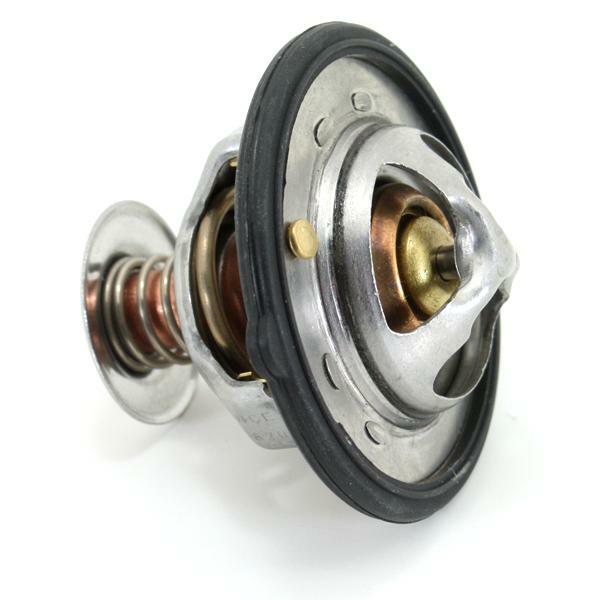 Our thermostat will make an immediate and direct impact on your engine running temps. The 160 Degree T-Stat will bring your engine coolant temps down 20-30 Degrees. Many OEM style T-Stats can have a very negative effect on your vehicle, if they fail, they fail closed and your car will overheat. But not ours! If there is a failure with our T-Stat, it will fail in the OPEN position allowing coolant to flow and keep your engine temps under control. Given the fact the Genesis is turbo’d, this gives you even more of a reason to want to keep those coolant temps down. In turbo’d applications, the engine coolant must also cool both the turbo and the engine oil. This places a greater strain on your oem thermostat…all the more reason to install the GrimmSpeed 160 Degree Thermostat! During testing, we have also found that our 160 Degree Thermostat keeps the engine coolant at a more stable temperature.